In the lead up to the release of The Hunger Games DVD, Willow Shields, who played Primrose Everdeen has had a chat to style site She Knows. 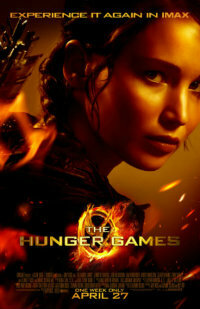 They chat about fashion, the release of the movie as well as working on Catching Fire. SheKnows: This was such an amazing breakout role for you. Looking back on the experience, what was your favorite part of working on The Hunger Games? Shields: My favorite memory was probably just hanging out with Jennifer [Lawrence] and acting with her because one minute we were really serious and crying in one scene and then the next minute we’d be laughing and playing jokes on each other. 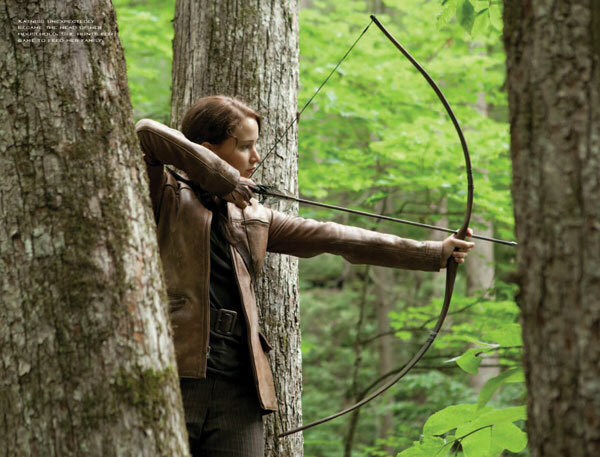 Entertainment Weekly has exclusive clip from the behind-the-scenes extras on The Hunger Games DVD/Blu-ray. While what Jennifer talks about isn’t anything new, the video shows behind-the-scenes clips of a number of scenes, including the Tribute interviews, the Everdeen’s house, the Tribute parade, and more. The video isn’t embeddable, so head over to EW.com to watch it. 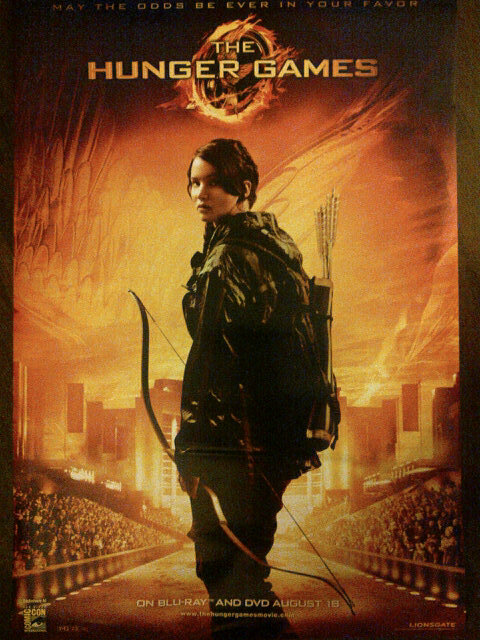 Lionsgate was handing out this exclusive new Hunger Games poster at their booth at Comic Con today to promote the upcoming DVD/Blu-ray release (which includes the little San Diego Comic Con logo at the bottom left corner). We love it! Entertainment Weekly has come out with this exclusive preview of the extras that will be available on ‘The Hunger Games‘ DVD and Blu-ray. The video details the 3-hour behind-the-scenes experience that features exclusive interviews discussing casting, training, filming and much more! Take a break from speculating over Johanna and Finnick casting, and treat yourself to this exclusive trailer for the behind-the-scenes extras on The Hunger Games Blu-ray and DVD, out August 18. Listen to Josh Hutcherson talk about “powerful” Jennifer Lawrence, and get the inside scoop on the training the Tribute actors had to go through to make the arena fighting realistic. If you weren’t excited for the DVD release before, I bet you are now! 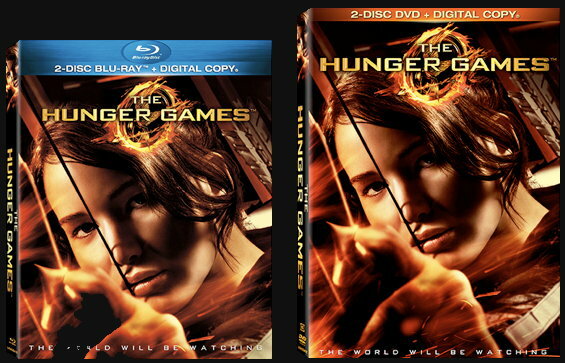 For fans in the UK, The Hunger Games DVD and Blu-Ray can be pre-ordered from Tesco Entertainment for £10.00 and £15.00 respectively. Apparently you don’t have to worry about paying too much as Tesco says it runs the pre-order promise, which guarantees that should the price you are quoted when you pre-rder differs from the pice on the day of release, you’ll get the lowest displayed price. The DVD will be out in the UK on September 3rd. It’s the news that Hunger Games fans have been waiting for. The Hunger Games movie will be released on Bluray and DVD in the U.S at one minute past midnight as the clock ticks over to August 18th. A digital download will also be available on the same day. For those of you counting, that’s 12 weeks from now. If you can’t wait you can pre-order your DVD/Bluray copy from Friday. 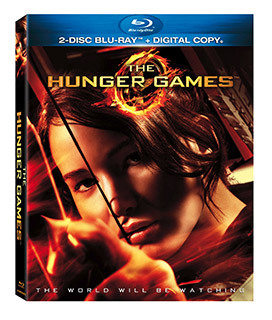 EW has revealed that The Hunger Games release will be a two-disc set and will include three hours of bonus material. Apparently we’ll get to see an eight-part documentary about the making of the movie, interviews with the cast and crew. There will also be a feature on changes that were made from the book and The Capitol propaganda film that was shown at the Reaping in District 12 will also be in there. Watch the trailer for the DVD right here! So will you buying your very own copy? Of course, we can’t wait! Fans are anxious to know when they’ll be able to own their own copies of The Hunger Games movie, and a recent Wall Street Journal article quoted Lionsgate as saying they’re looking at a release date around five months after the theatrical release (which would mean August/September). Today, StudioCanal, the movie’s distributor in Germany, announced the DVD release date as August 30th in Germany (with the availability to rent the DVD from stores on August 18th, which we hear is typical in Germany); the same release date was posted on the German Hunger Games Facebook page. No word yet on the U.S. release, but we would assume it’s around the same time. In a new article, The Wall Street Journal is taking a look at where Lionsgate is right now with the Hunger Games franchise. 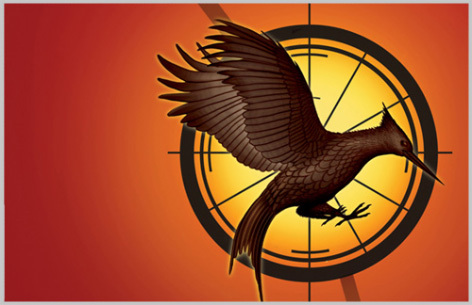 The article reveals that Lionsgate is close to a deal with Francis Lawrence for Catching Fire, discusses Suzanne Collins’ close involvement with the Catching Fire script, and reveals that Lionsgate is looking at August/September to release The Hunger Games DVD. For “Catching Fire,” now in preproduction and expected to hit theaters in fall 2013, Lions Gate—also known as Lionsgate—lost the director of the first film, Gary Ross, who issued a statement earlier this month saying he couldn’t work on the studio’s time table. Lions Gate, which said at the time that it was sorry Mr. Ross had chosen not to direct the film, is now close to a deal with Francis Lawrence, whose previous projects include “I Am Legend” and “Constantine,” according to people familiar with the matter.